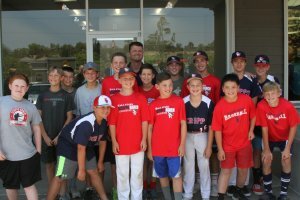 Giving back to Scripps Ranch Little League teams since 2015! 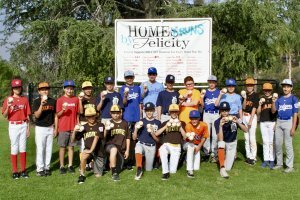 Congratulations To This Year’s Home Run Hitters! Need to submit your child’s home run? Please submit the information below to ensure that we're able to provide the correct donation! If you'd like, please send in a photo of your player with their home run ball! Do we have permission to post your child's name on Facebook, our website, and the SRCA newsletter? 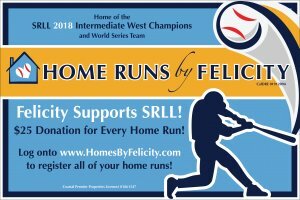 Would you like to receive a Home Runs By Felicity sign for your front yard and swag bag?